We’re making our rounds! We’ve covered a few other places to kayak around the world, now we’re turning our heads to the west coast of the United States. We’re going to try to cover an area for all levels of kayaking experience. As always, we try to give you the information of kayak rentals, canoe rentals, and guides in the area. We want everyone to be able to take these trips, regardless if you’re a beginner or expert, regardless if you own a kayak. So for now, step in, take your shoes off, and enjoy the mental vacation we’re going to provide! Ever hear of the Catalina Wine Mixer? 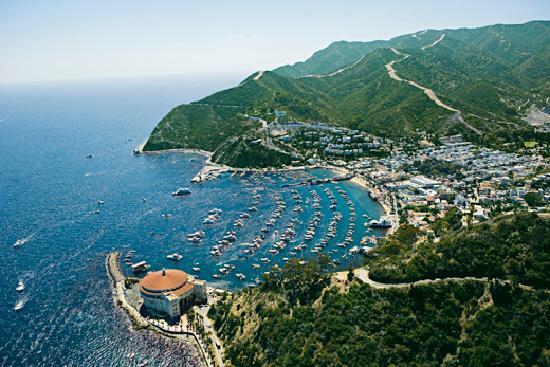 Just kidding… Catalina is a gorgeous island off the coast of Newport Beach. The island is filled with remote coves, dramatic cliffs, and the water is manageable. There’s also some excellent wildlife to see if you’re lucky. The water is so clear that you’ll be able to see the marine life, including the prominent leopard shark. We recommend paddling from Little Harbor to Indian Head Rock where you can get into some excellent hiking. The recommended kayak rental service here is: Wet Spot Kayak Rentals & Tours. They can be found at catalinakayaks.com. Oregon is one of the most ecologically rich states in America. Located roughly 50 miles east of Medford, Oregon, Upper Klamath has a lake, river, tons of bays, beaches, coves, etc. to explore. The great thing about the area is whenever you decide you want to explore the land, you can basically pull the kayak over and hike amazing trails and forests in surrounding Klamath County. We recommend getting a river guide if you’d like to kayak there and you’re a beginner. The local guide company is Rogue Klamath River Adventures. 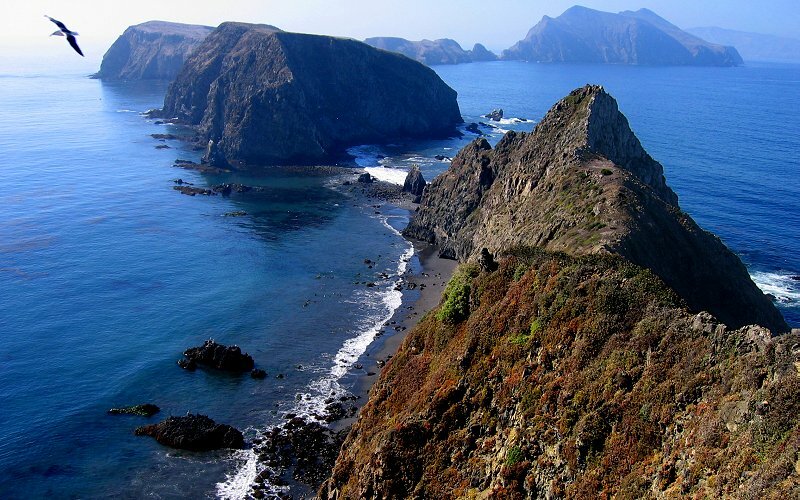 The Channel Islands consists of eight islands off the coast of Santa Barbara. The water is crystal-clear, there are caves, grottos, dramatic cliffs, and even a few blowholes. Additionally, the wildlife is extraordinary, there are whales, dolphins and all sorts of marine life to watch. Because the island is so large and the water can be rough, we’d recommend you use a guide for this trip. We recommend Aquasports. Whidbey Island is part of a number of islands off the coast of Marysville and Everett, Washington. There are plenty of places to kayak in this area, and this is just one of many. There are tons of small islands, sounds, coves, etc. to kayak to. There is also abundant wildlife. Whidbey Island Kayaking Company provides whale watching tours, along with kayak and stand-up paddleboard rentals. Because they have been providing tours for over 13 years, we’d recommend you get a tour with them to ensure you visit all of the prime whale watching locations! We figured we’d finish strong at one of our favorite places. Deschutes River is a very popular kayaking destination in Oregon. It’s easy to navigate, mostly calm, and there is a lot to see. There are plenty of neighboring town and trails, there are waterfalls, caves, and all sorts of areas to pull ashore and eat, camp, or both. Additionally, lessons are available for kids, beginners, or even if you need to brush up on your skills. We recommend All Star Rafting. This was a tough list. There are just so many places to kayak on the west coast that it was hard for us to narrow it down. We hope you enjoyed the list, if you have anything you’d like us to add, please feel free to leave a comment, and we’ll have a look! Previous articleHow Do Fish Finders Work? Next articleBest Portable Fish Finder: What Should You Look For?